Solar powered lighting technology has advanced lately, and now provides improved lighting at reduced prices. Traditional mains lighting normally incurs much higher installation costs than solar. Solar is ideal for inaccessible and remote locations that don’t have a convenient 240 volt mains supply. Using LED bulbs has simultaneously reduced the power required while increasing light levels. Direct sunlight used to be necessary for solar lights to work efficiently. The most modern solar lights harvest light very efficiently. This technology is set to continue improving and becoming even more efficient in the next few years. There are lots of options of solar garden lighting on sale. Lantern style wall lighting. Lighting for post or hung style applications. 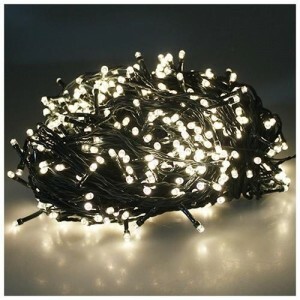 A large variety of different fairy light designs. Decking lights, designed to be mounted in recesses within the deck itself. Solar powered lighting with security motion sensors. Additionally you have a choice of solar lighting with integrated solar panels, or external wired panels which allow you to position the panel in the best position to harvest maximum natural light. The location of your lighting will determine which style is best for your circumstances. The downside to integrated lights is that their solar panels are smaller to fit within the light, which in turn means they are less efficient and will need more light in order to work effectively for you. External panels however are usually larger, but because they include wires are more laborious to install. The other important factor, which will affect the performance of your solar lights is the quality of the rechargeable battery within the light. Your solar lights will be more efficient with high performance rechargeable batteries fitted. As with house buying, with solar lighting, it is all about location, location, location. If possible, place your lights in direct sunlight for the bulk of the day. Solar lights charge much slower in the shade, so position your lights in bright areas for best results. Solar lights will charge on dull days, and even in the rain, but additional shade, such as a tree will limit the lights charging time. Solar lighting performance is set to be driven by advances in both solar panel and battery technology advances. Annual solar light sales grows year on year and is set to keep doing so. In addition to reducing energy bills, solar energy is cost free for the planets natural resources.